This inverter has two modes of operation that offer some very interesting flexibility. AC PRIORITY MODE. 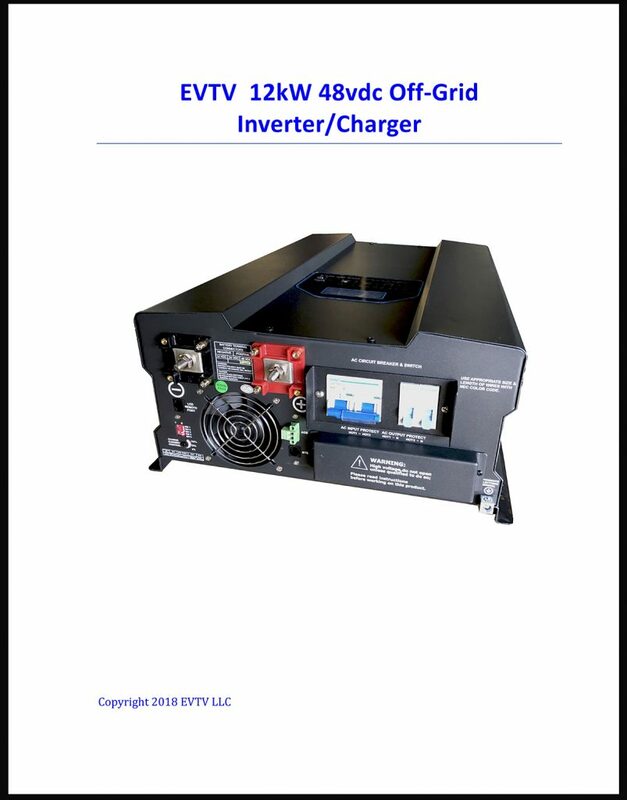 This allows you to pass a grid voltage THROUGH the inverter to your loads and operates primarily on grid power. It will automatically charge your battery and cycle it every 15 days. But on loss of grid AC input, it will transfer to battery operation within a few milliseconds. It is an ideal "battery backup" system. In BATTERY PRIORITY MODE, it does NOT pass through AC but rather generates all output power - up to 50 amps at 240vac continuously, from the battery. In the event the battery falls below the low voltage cutoff level, it will switch to the AC input and indeed recharge the battery at the same time. When the voltage reaches the resume level, in this case 47 volts, it will switch back to battery operation. Finally, it features a generator start output to start a generator if the source is a generator rather than the grid. Finally, this inverter features an optional remote control panel. We INCLUDE that with every inverter instead of making it an option.